2015: As defeat stares PDP in the face, Chief Wike and PDP mobilise dreadful militants from Delta, Bayelsa to join forces with their Rivers counterparts to unleash terror on Rivers APC Chieftains and Members. 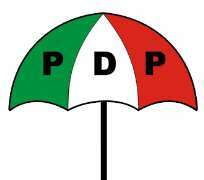 Information reaching us indicates that Rivers PDP have mobilised dreadful hoodlums from Delta, Bayelsa to join members of Grassroot Development initiative (GDI) the armed unit of PDP to unleash mayhem and terror on chieftains and members of APC immediately after the formal announcement of the 2015 Presidential election of March 28th, 2015 by INEC declaring Buhari as winner as their own way of sympathising with the outgoing President Jonathan. As much as we condemn the resort to violence and killing of our members at any slight or no provocation, we will like to reiterate that chief Wike and his supporters should be mindful of the fact that we all are Rivers State indigenes and causing harm or death to any of us does not do him or another person any good as history will surely judge all of us for all the parts we play or played in promoting violence in Rivers State. We need to alert the world that Chief Nyesome Wike should be held responsible for any violence or deaths of any of our members, and also Chief Wike should be made to be mindful of ICC provisions. We use this opportunity also to condemn the poor presentation by Ex-Minister Godsday Orubebe in his failed bid to disrupt Collation of Presidential Results this morning at Abuja. We apologise to all Nigerians for this unfortunate and misguided presentation seeing that he came from our region. Nigerians can be assured that those of us from Niger Delta region does not behave in such a manner only that the poor fellow is suffering from the huge loses he will suffer from the change of guard at the centre. It is unfortunate that most of these loafers will not allow the outgoing President Jonathan to leave the stage in peace as a Statesman after ruining his administration.